We are passionate about architecture and dedicated to working with our clients to bring out the best in their architectural projects. Rebecca Naughtin Architect is an award winning practice that focuses on providing excellent customer service with quality, custom design outcomes for homeowners looking to build a new home or renovate an existing space. With over 15 years experience, Rebecca uses principles of architecture and landscape design to create integrated, contemporary indoor and outdoor spaces, that are sympathetic to their surroundings. Our designs are a balance of form and function, with sustainability and innovation at the forefront of all decisions, we thrive on challenges and persist until the best outcome has been achieved. Studio Star Architecture’s is a dynamic architecture and interior design practice established in 2015 and based in Melbourne. Our team is dedicated to developing sleek, intelligent designs that identify the architectural potential of a space – and fulfill it. Our focus is to fuse sustainability with practical living through the experience of space, materials and light. We believe that the client-architect relationships carry the design process: from conversation to concept, consultation to completion. Being a small studio we have developed a wide knowledge and set of competences, where the combined efforts of all our collaborators has great significance in the project’s final result. Aleksandra Savic Rakocevic Armed with international and local industry experience, Aleksandra founded Star Architecture in 2015. With wide and solid experience in both small and middle sized projects, Aleksandra is focused on finding the optimal and clean design through form, light and shape. Aleksandra’s driving force is the curiosity and will to find out the potential in every project to become unique. 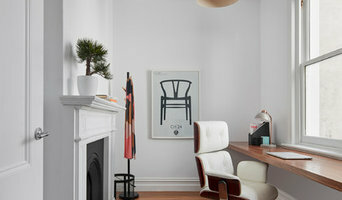 Architected is a small, Melbourne based design studio, commited to a personal service. We will provide one-on-one advice and guidance for your project, along with unique design skills and space planning ability. The company was born out of a perceived need for accessible architectural services. The director, Stewart Brooks was regularly being asked for advice from friends and acquaintances regarding their own properties. Through this experience he realised there was a need for good architectural advice either during the purchase of a property or before embarking on a renovation or extension. Many people are reluctant to engage an architect for the entire project due to budgetary concerns, when all they need is some sound architectural advice at the right time. The Concept Design Service caters for this need. Only a limited number of full projects are taken on each year. These projects are chosen not always for their size- but mainly due to the clients open mindedness and design aspirations. At Architected we understand all client’s requirements are different, and all existing buildings have unique challenges. Through our extensive experience we always come up with exciting design solutions that allow a client to understand the potential of their home quickly and in a cost effective manner. We tailor spaces for their inhabitants and how they live, that are energy efficient, and reflect the owner’s true personality. Tom Robertson Architects are a diverse team, driven by a shared love of exceptional architecture. Tom Robertson began his career with Fender Katsalidis Architects working on major local and international projects. Motivated by his belief in personal, flexible service, he established his own practice in 2013. Design is a process of collaboration. Tom Robertson Architects are dedicated to an approach that is accessible and consultative, helping clients to refine their ideas and articulate what they love. True collaboration is grounded in trust, open communication and enthusiasm for the project. Tom Robertson Architects are not defined by one aesthetic or style, but by an approach that is sympathetic to context and environment. Every project is unique yet founded in the central belief that good architecture brings joy. Working with a restrained palette of natural materials, Tom Robertson Architects find elegance in simplicity. Employing refined design that is rooted in pragmatism and driven by beauty, the practice is focused on creating enduring, contemporary architecture. 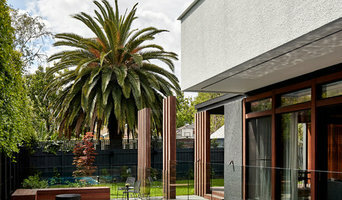 Byrne is an architectural design office based in Melbourne, led by Nicholas Byrne and a dedicated creative team. We deliver award-winning projects where iconic structures blend seamlessly with the landscape, technology, and interior design. Our approach comes creating spaces of authenticity and integrity. Our attention to detail ensures simple beauty that can be achieved at every level, from boutique residential designs to luxury custom home projects. By working closely with our clients, and continually considering and responding to all aspects of their needs and desires, we can create spaces that people love to experience. Taylor Knights believe in creating exciting and meaningful spaces that can enrich our lives. We believe that good design is spirited, thoughtful and a joy to experience. We are a Melbourne-based practice of architects and designers, established in 2013. Our approach to the design process is a simple but rigorous one that draws deeply upon understanding and responding to that which is essential: the senses, the seasons, the environment. We take delight in creating and discovering these moments in each of our projects. As a studio, we relish the concept (and the challenge) of ‘hard-working’ design – the idea that good architecture can and should be beautiful, considered, flexible, and enduring. We are a team with an appreciation for the craft of building and making, and we admire and look to the skills of our trades to help realise our projects. We aim to create unique, highly sensitive and engaging spaces that are a true reflection of their evolving context and situation which can be enjoyed now and into the future. Inbetween Architecture specialises in residential architecture. Our portfolio extends to renovations and new builds and our experience includes working closely with clients to give realistic options for their design and building projects. We appreciate that deciding to undertake a renovation or new build project is a significant decision (both financially and emotionally) and know that no two projects are ever the same. Our experienced and flexible approach means we listen to your needs and we tailor a design and delivery solution that suits, with a complete assessment of all your available options so you can choose what suits you best. Whether you need the full scope of our experienced architectural services or the convenience of an hourly rate consultation, we advise on, design and deliver bespoke renovations that respect budget, are ‘made-to-measure’ and maximise the potential and enjoyment of your home. We believe it’s important for us to know you and for you to know us; a solid client-architect relationship is essential to achieving the best possible outcome. Whether you are guided by a renovation budget, driven by a specific vision, or are not quite sure what might be possible, our Client Brief Questionnaire has been developed to help you focus on the information it’s important for us to know to allow us to find the design solutions that work for you. We are an architecture and interiors practice based in Melbourne. Our practice tackles projects big and small, believing that design interventions can be made at all scales to add value and enrich people’s experiences of place and space. Our approach is holistic – we see the underlying conditions, design brief and constraints as creative opportunities, with each of our projects responding to environment, community and context. WHAT WE DO All of our projects begin with an exploration of your brief and ideas for your project, a critical consideration of planning requirements and existing site conditions from which we develop a range of design options that can suit the current needs but also provide flexibility in the future. As a practice, we see collaborative relationships as the foundation for good design outcomes and we would work actively with you, the consultant team and builders in delivering the project - integrating great design ideas with realities of projects. Andrew Child Architecture is a Melbourne based architectural studio. We offer integrated architectural, interior design and landscape services. Our mission is to design and oversee the delivery of contemporary, sustainable and elegant residential solutions for our clients. ADAPTABLE - We specialise in residential architecture of any scale, from small renovations to entirely new and highly detailed homes. We will customise our process to suit your project. CREATIVE - Each client, site, brief and budget determines and informs our process. The ensures that each finished home is unique and customised for our clients, and not the result of a predetermined style. THOROUGH - We enjoy everything we do, from the initial design concepts through to the handover of the finished building. We address issues as early and as thoroughly as possible to eliminate avoidable problems and will persist to achieve the best possible outcome for our clients. PROFESSIONAL - Our considerable and diverse experience, expertise and skills, coupled with the intimate scale of the practice, enables a professional, thorough, approachable and attentive relationship with our clients. We see this relationship as vital as it provides the foundation for successful projects. Mcmahon and Nerlich is a boutique architecture studio based in South Melbourne, founded in 2013 and formalising over 20 years of collaboration between Directors Rob Nerlich and Kate McMahon, who have a wealth of experience in designing bespoke award-winning housing and interiors projects (with award-winning bathrooms and kitchens) in addition to experience in both in Melbourne and London. 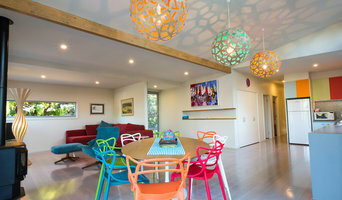 Rob and Kate specialise in residential architecture and are passionate advocates of architectural design and the value excellent design brings to the home. Rob and Kate love collaborating with their clients, and specialise in delivering hard-to-get planning permits and wonderfully successful outcomes born from a combination of process, communication and beautiful design. Ardent Architects was formed as a practice in 2009. It was started by it's current managing director Justin Morris out of a desire to create a new style of Architectural firm that focuses on service delivery and our clients priorities. We opened our Hawthorn offices in 2010 and have developed our team of architects and technicians to provide a cohesive and integrated service delivery. We have extensive experience in developing projects from feasibility studies through to completion of construction. Our clients range from private residential through to government departments and multinational companies. We specialise in fast turn around on stages and client requested changes to keep projects progressing quickly. Architecture has always been part of my life, in one form or another. Growing up on a farm in rural Victoria, I was mesmerised by local public buildings and homesteads. My childhood sense of space combined with my love of drawing, Lego and sandpits naturally led me to a career in architecture. My curiosity drew me to Europe to explore new culture, modern and classical architecture. I am still fascinated how design influences the way we feel and interact with the spaces around us. I love Scandinavian design. Use of natural materials and light with a connection to nature creates serene, elegant spaces. My designs are informed by traditional European architecture with its symmetry, strength, and timelessness. I adore contemporary Japanese residential architecture for its creative use of space and sculptural forms. JCA is a design practice specialising in bespoke residential alterations, renovations, and extensions in the inner city of Melbourne. We are a client orientated practice where each design evolves from working closely with you to understand your individual brief and aspiration; with the end result being a tailored personalised design. A fresh take on architectural services for renovations, new builds and developments. Access a team of carefully selected, RAIA registered architects, then tender your project out to a pool of quality builders that we know and trust. Or add your own selected builder to the tender list so you can compare and contrast on builder’s price and quality and make an informed decision, rather than being show-ironed into a single builder's price. Melbourne | Sydney | Adelaide Winner | 2017 Australian Good Design Award. Winner | 2017 Victorian Premiers Design Award - Service Design. If your renovation is more than a simple benchtop replacement or roof re-tiling job, then it may be time to find an architect in Gowanbrae, Victoria who can manage your project from start to finish. Depending on the architecture firm you hire, the scope can span from planning sustainable design into your renovations, to selecting furniture and even interior finishes. An architect is often the first person you hire for your project. Before taking steps to find an architect in Gowanbrae, Victoria, ask yourself what you want to achieve from your renovation or home construction. Do you want to improve the liveability and sustainability of your home, or simply expand? What style of architecture do you prefer? Once you have established your motivation, research architects that have completed similar house designs in your Gowanbrae locale and within a comparable budget to yours. Ideally, your Gowanbrae, Victoria architect will be involved in all phases of the design process, from the initial concept to the completed construction. Your architect may be needed to select and hire Victoria subcontractors (e.g. builders, engineers and landscape architects) just as they may need to negotiate contracts with stakeholders. A good client-architect relationship will ensure they are your biggest advocate along the way during construction. Find residential architects on Houzz. To find the best Gowanbrae, Victoria architect for your home design project, narrow your search to find professionals in Gowanbrae, Victoria. Then browse their latest projects and read reviews. You can also look through photos of projects to find an interior architect or designer who has worked on a project similar to yours.